WASHINGTON — Criticism by one NASA advisory committee of SpaceX’s plans to conduct commercial crew missions has also raised questions about the roles and responsibilities of those advisory committees. On Nov. 4, NASA released a letter submitted to the agency last December by Thomas Stafford, the former astronaut who is chairman of the agency’s International Space Station Advisory Committee. 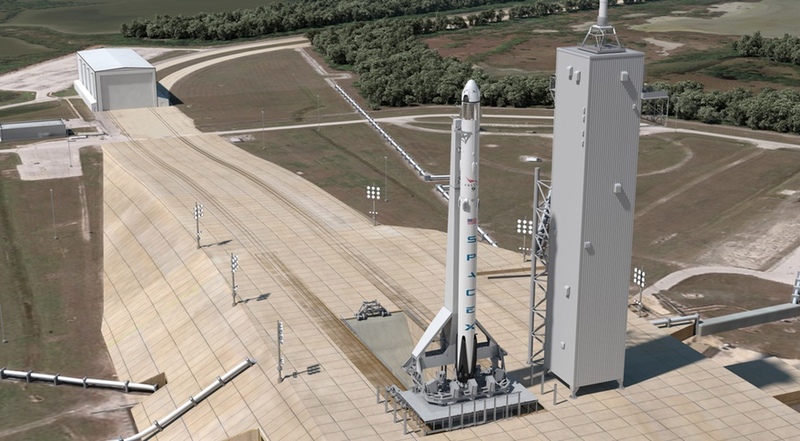 That letter, addressed to Bill Gerstenmaier, NASA associate administrator for human exploration and operations, expressed concern about SpaceX’s plans to have astronauts board its crewed Dragon spacecraft prior to fueling the Falcon 9 rocket that will launch it. “There is a unanimous, and strong, feeling by the committee that scheduling the crew to be on board the Dragon spacecraft prior to loading oxidizer into the rocket is contrary to booster safety criteria that has been in place for over 50 years, both in this country and internationally,” Stafford wrote in the Dec. 9 letter. Stafford, in the letter, noted that it has been the policy on all previous NASA crewed missions to fuel the rocket when the pad is cleared of personnel. “Only after the booster is fully fueled and stabilized are the few essential people allowed near it,” he wrote. The break in precedent is required because of changes to the Falcon 9. The upgraded version of the rocket, introduced less than two weeks after Stafford’s original letter, uses “supercooled” liquid oxygen that is denser and provides greater performance. Maintaining those low temperatures requires fueling the rocket much closer to the scheduled launch time than is the case for other vehicles, which means that, for crewed missions, astronauts would have to board the rocket prior to fueling rather than after it is complete. Stafford’s letter got new attention after the Sept. 1 explosion of a Falcon 9 on the pad during preparations for a static-fire test. At an Oct. 31 meeting of the committee, Stafford said he had not yet received a response to his original letter, despite several statements from agency officials that a response was forthcoming. He said he now expected a response by the time of the next committee meeting in December. That statement also suggested that Stafford’s committee was out of its jurisdiction in inquiring about SpaceX’s fueling plans. The description of duties for the ISS Advisory Committee, also stated in the charter, do not explicitly mention commercial crew systems. The charter does mention “program and project management, including spaceflight safety and mission assurance strategies” as part of its scope, but the only crew vehicle mentioned is the Soyuz. The Aerospace Safety Advisory Panel (ASAP) does regularly review commercial crew vehicle development, and has included its assessment in its annual reports in the last several years. Minutes of the last five ASAP meetings, from December 2015 to October 2016, do not mention any discussion of the SpaceX fueling issue. NASA, though, indicated in its statement that it would still address the ISS Advisory Committee’s letter despite it being beyond the strict scope of its activities. “Other groups, such as the ISS Advisory Committee, also seek information, and we treat all inquiries seriously,” it said.